Konami announced yesterday that their anticipated Metal Gear Solid HD Collection has delayed it's release for Europe audiences. Fans will be able to get their hands on the bundle, which contains Metal Gear, Metal Gear 2: Solid Snake, Metal Gear Solid: Peace Walker, Metal Gear Solid 2: Sons of Liberty, and Metal Gear Solid 3: Snake Eater on the 3rd February 2012. The current North American release date of 8th November 2011, and the Japanese date of the 28th November 2011 have not been changed as of yet. Whether these change like the European release has, only time will tell. The Metal Gear series has been hugely successful ever since the launch of the début title, Metal Gear in 1987. 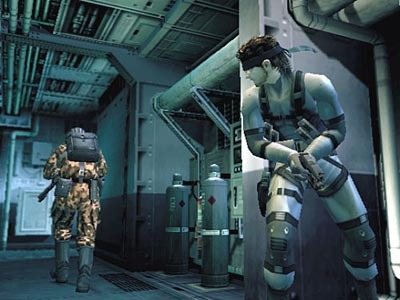 Players take control of a special forces operative by the name "Solid Snake." The gameplay combines action with plenty of stealth sections, and has developed into a formula that even now, fans are satisfied with. The Metal Gear Solid HD Collection will contain five of the games, in a brand new HD format, in one package. Sounds good, huh? Are you looking forward to the release of Metal Gear Solid HD Collection? Leave your opinions in the comment section!